Fast Cog engineers next-generation web sites and web applications. Functionalizing your design into clean and modular code keeps our RPMs up. 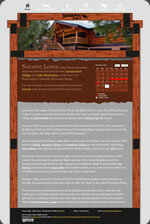 Natapoc Lodge is a premiere vacation rental destination near the Bavarian-themed mountain village of Leavenworth, WA. Fast Cog was approached in early 2012 to design and build a simple web application to help them market the vacation property, as well as manage the logistics of renting it. 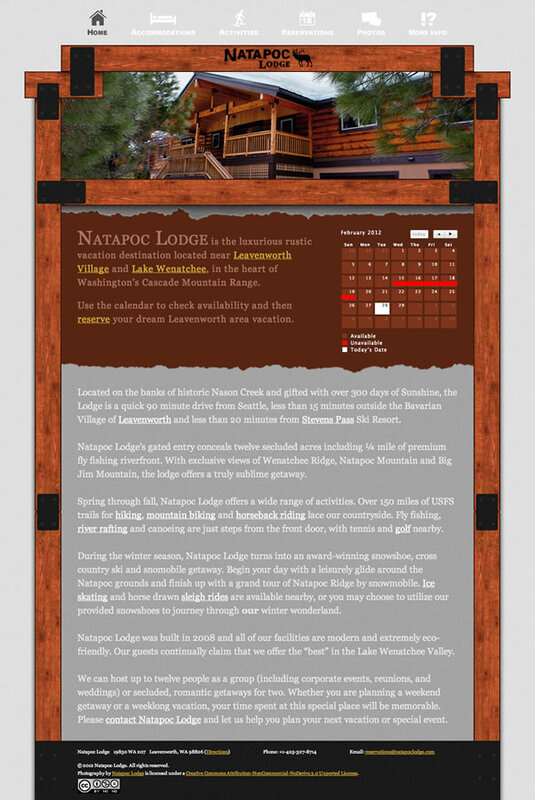 With integrations including Google Calendar, OwnerReservations.com, MailChimp, and others, NatapocLodge.com is one of the most sophisticated owner-managed vacation rental sites on the web. 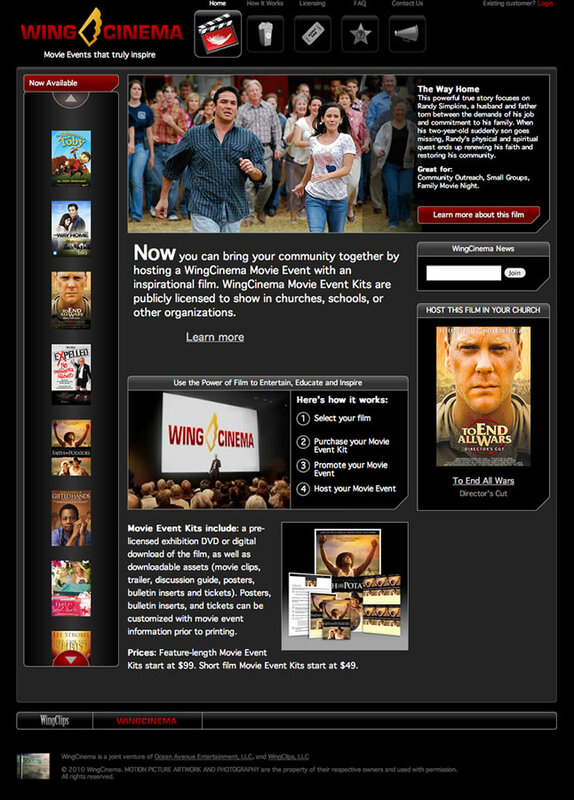 WingClips provides fully-licensed downloadable resources from major motion pictures, documentaries, television programming, and independent productions to pastors, teachers, and business professionals looking to connect with and engage their audiences. 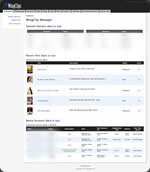 In Spring of 2010, WingClips launched an overhaul of its web identity, led by a complete re-build of WingClips.com from scratch on the Ruby on Rails platform. Fast Cog planned, executed, developed, and managed the entire project—building both the customer front-end as well as the administration back-end from the ground up. Since then, Fast Cog Interactive has been retained to handle 100% of web development and web operations for the company. The WingClips administration team had very specific problems for us to solve when they approached us in 2009 to begin developing an administration portal for the new WingClips.com. Fast Cog researched and developed a completely custom back-end to meet those needs. Built in sync with the primary customer-facing site on the Ruby on Rails framework, this administration portal includes a sophisticated custom download tracking system and integration with Amazon S3 file storage. 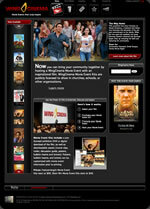 WingCinema was an alternative movie distribution firm that specializes in releasing independent and studio films to the Christian market. To address the need to offer their Movie Event Kits directly to customers, Fast Cog built a customized Ruby on Rails e-commerce solution that features integration with QuickBooks and Amazon Fulfillment. 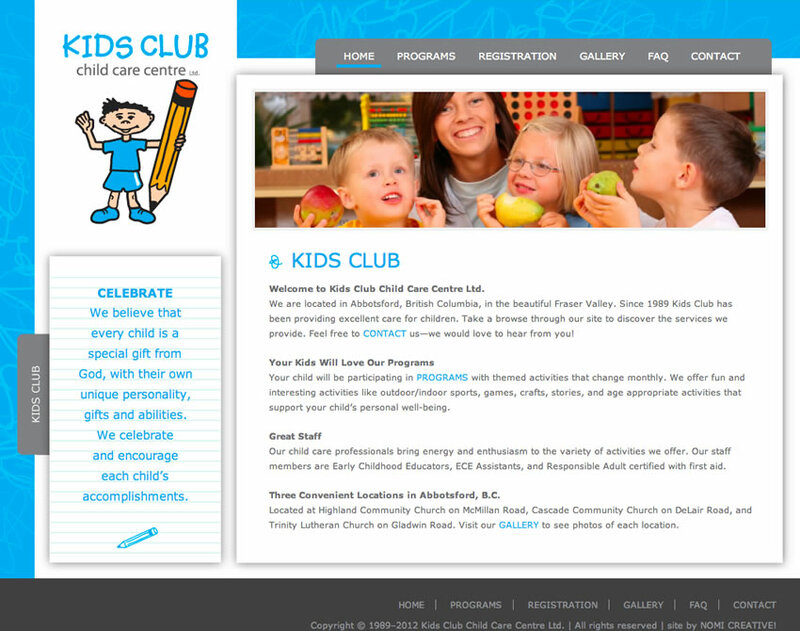 Kid’s Club Abbotsford is a child care provider with multiple campuses located in Abbotsford, BC. We partnered with Nomi Creative to address their need for a simple website that would help attract new business. The site features contemporary web standards such as HTML5 and the hCard microformat. 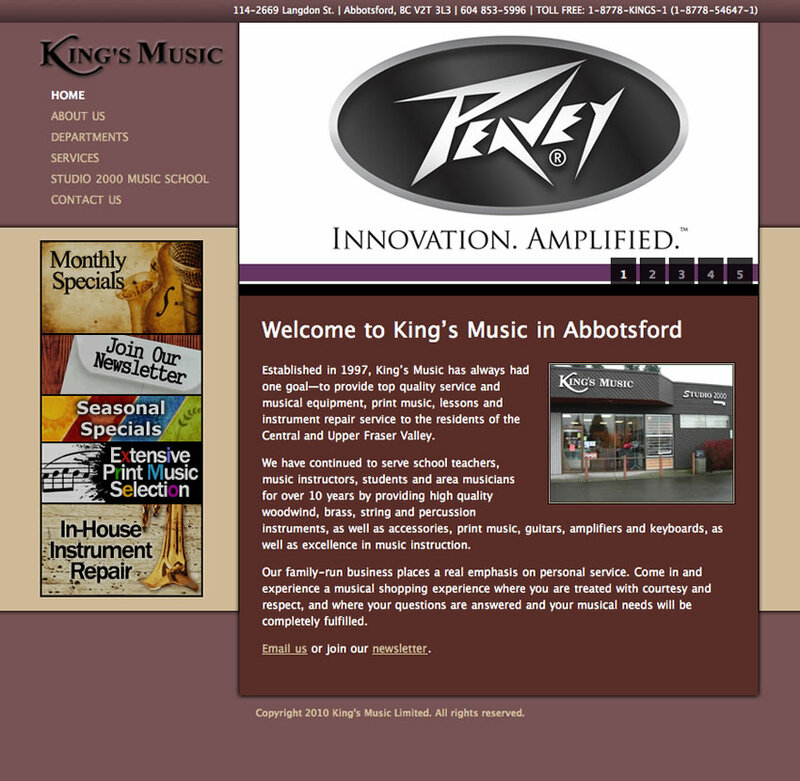 Local Music Store King’s Music takes pride in their customer service, world-class instrument repair shop, and fully-stocked rental department. They asked Fast Cog to design and build a website that would highlight these attributes while helping them reach a larger audience in the Fraser Valley. Copyright © 2012 Fast Cog Interactive. All rights reserved.